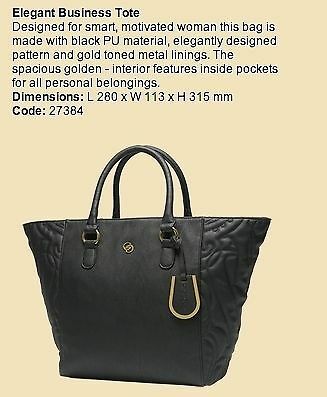 An Elegant Business Tote By Oriflame Let this beautiful bag bring a touch of originality and exoticism to your look. One of the best selling Bags in Europe . Shell: 100% PU – lined with tonal 100% polyester lining. Perfect for Formal Dinner .